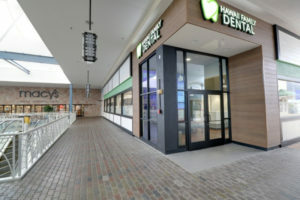 Hawaii Family Dental has opened their newest addition located in the Queen Kaahumanu Center. 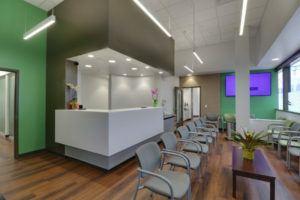 They have offices in Kahului and in Kihei but with their latest 7,300+ square foot location, they can care for more people. To me this is a very convenient location. Not only is it centrally located but it is the main stop for all of the buses. So no matter what people can always get to their dental appointment. I also love the fact that the eyesore at the end of the second floor bridge is going to be gone. 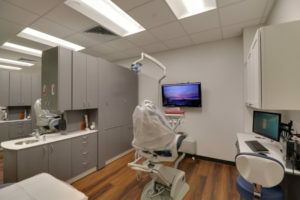 You can see from the pictures that they really do have a beautiful new office. The Grand Opening celebration of Hawaii Family Dental’s new Kahului office is today Saturday, September 29th. It will be held at their newest office and the blessing will be at 2pm followed by pupus at 2:15pm.